But in reality, when people are craving chocolate, their bodies may actually need something else — something healthier, according to recent food craving theories. There are ways to figure out what your body is actually craving, as long as you understand what your food cravings mean, said Colleen Huber, a naturopathic medical doctor at Nature Works Best Cancer Clinic in Arizona and author of “Choose Your Foods: Like Your Life Depends on Them” ($20 at amazon.com). 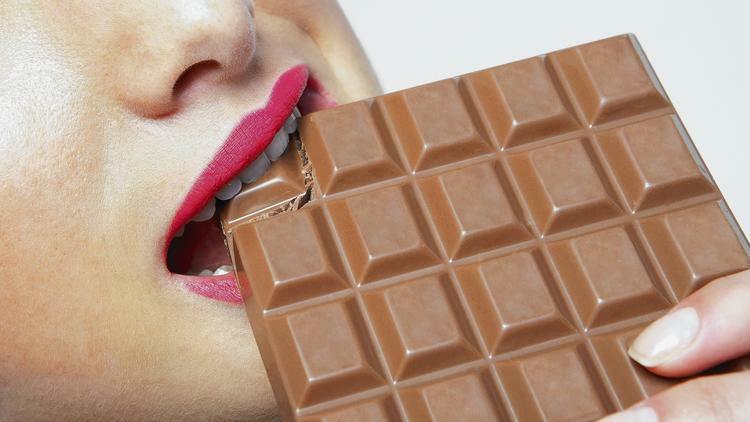 Magnesium is one of the most common nutrient deficiencies in the U.S., and chocolate is high in magnesium, which is why chocolate is such a common craving, Huber said. Magnesium is responsible for more than 300 chemical reactions in the body including regulating the absorption of calcium along with sustaining the health of the heart. Magnesium is a common deficiency because for every gram of sugar that you eat, you need 54 grams of magnesium to process it — and magnesium isn’t very common in an American diet, Huber said. It’s found in seeds, nuts and in some vegetables. “You hear people say that they just have to have their chocolate, and it becomes a self-repeating cycle,” Huber said, explaining that eating magnesium-filled chocolate makes you crave magnesium. Wondering if your current diet cuts the mustard? U.S. News and World Report has ranked the diets out there and ranked them. Here are the 10 best diets for weight loss. See all the diet rankings here. Instead of constantly eating chocolate to satisfy the magnesium craving — and to spur a greater magnesium craving — Huber recommends that when you crave chocolate, you eat other things that are high in magnesium, such as legumes, nuts and seeds. This doesn’t mean that you have to cut out chocolate altogether, as skipping straight to seeds probably won’t get rid of your entire chocolate craving. Another common craving is potato chips, which could signal an iron deficiency because an iron deficiency makes you want to chew on something crunchy, Huber said. Instead of eating potato chips, she recommends chowing down on dark meat, fish, poultry, dark greens and cherries. Cravings aren’t always so black and white, however, said Susan Roberts, professor of nutrition at Tufts University and founder of the online iDiet weight loss program, Myidiet.com. Roberts suspects that sometimes these cravings are the result of nutritional deficiencies, but, she said, there is also a lot of data showing that most cravings reflect unhealthy foods, which are packed with calories. Cravings can also simply reflect the food messages that have been bombarded into your brain all day — and in those cases, they have nothing to do with your nutritional deficiencies either, said Tara Gidus, a registered dietitian, co-author of Flat Belly Cookbook for Dummies, and host of the national TV show, Emotional Mojo. “A co-worker opens some pretzels, and even hours later, the thought of pretzels can pop into your head,” Gidus said. In those cases, she said, it may be best just to eat the real thing to satisfy the specific craving rather than trying to figure out a healthy alternative. Do you have food cravings? Let us know what you think about this article in the comments! Great article thanks! I do, especially for chocolate, does that mean that I am deficient in magnesium? I was curious about this as well so I just went out a brought some of that Ancient Minerals magnesium oil. I did about 20 sprays in some water and this stuff is pretty rough haha. Would much rather some chocolate. But hopefully I won’t be getting any of those cravings anymore. I will let you know if it works!